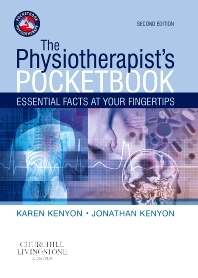 The Physiotherapist’s Pocket Book is an exceptionally comprehensive, handy reference that is ideal for clinicians in their daily practice and students on core clinical placements – musculoskeletal, neurology, respiratory. The second edition of this extremely popular book has been updated and expanded to make it even more invaluable during clinical practice. It is designed to be a useful aide memoir during assessment and treatment planning with instant access to key facts and figures. BSc(Hons), BA(Hons), MCSP, Department of Physiotherapy,Sussex Partnership NHS Foundation Trust.